Summer is fast approaching. This can only mean one thing. 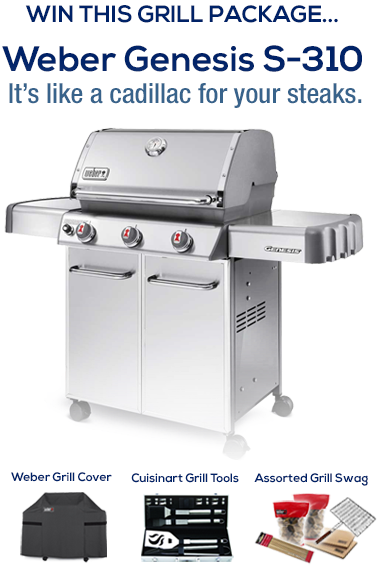 It is time to get serious with your grilling. As you may have noticed from the grilling section of this site. I love to cook outside. This giveaway is sponsored by LD Products. LD Products is a leading provider of discount printer ink and toner for virtually every inkjet or laser printer on the market. They carry a full line of printer inkjet cartridges, inkjet refill kits, laser toner, fax toner and countless other printer supplies that allow you to save money, without sacrificing quality. NO PURCHASE NECESSARY TO ENTER OR WIN. The Contest is void where prohibited by law. Only legal residents of the United States who are 18 years of age or older at the time of entry are eligible to enter. See the official rules before entering. This is a sponsored post. All opinions expressed here are my own. This is not affiliated with, nor sponsored by The Shaker of Salt. The Shaker of Salt is not responsible for prize fulfillment.